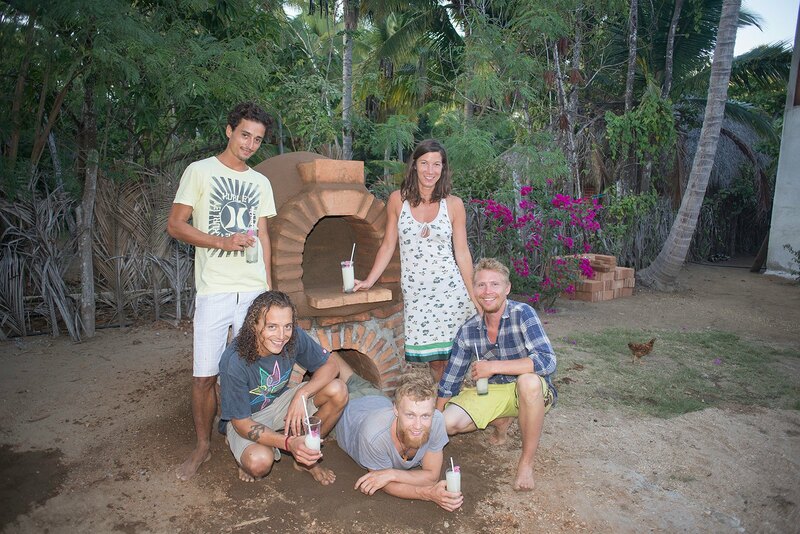 On our travels through Mexico, we met two Swedish-Mexicans, who were running an outdoor bar and wanted to build a Cob Oven so they can serve pizza and other delights to their guests. They had already gathered all the materials to do it, but lacked confidence to actually build it themselves. Well, we sure didn’t lack confidence and were happy to get moving again after days of doing nothing at the beach! It has been a really fun build project and the result is super beautiful! Thanks to David Roxendal for the pictures! !